Iao (rhymes with meow) Valley State Park gets hammered with tour buses and can be a turnoff to those seeking a jungle adventure. To enjoy the place, you need to cobble together a series of attractions, beginning outside the park--which is only two miles from Maui's county seat in Wailuku. 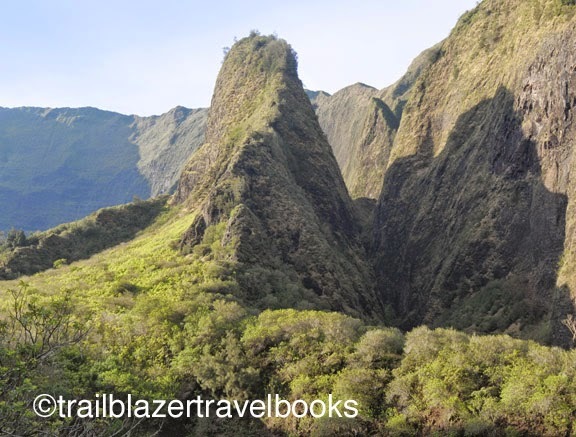 Maui Trailblazer has the details, beginning on page 91. The heftiest hike in the area is Kapilau Ridge (up to 5 miles round-trip, with 2,100 feet of elevation), which passes the Wailuku Cross on the way up a skinny ridge with sea views. Just before the park is a sure-thing for families: Kepaniwai Heritage Park. The county park has an arboretum of banyans, palms, and mangos that shade recreations of buildings from the cultures that formed Hawaii's sugar cane culture. Next door to this park is the privately run Hawaii Nature Center, with a gift shop, kid's museum, and nature walks (around $30) that visit the stream where the bloody battle of the Iao Valley took place in 1790. Finally, also outside the park is the Tropical Gardens of Maui, whose lush acres also span the stream. Garden admission is priced right, about five bucks. 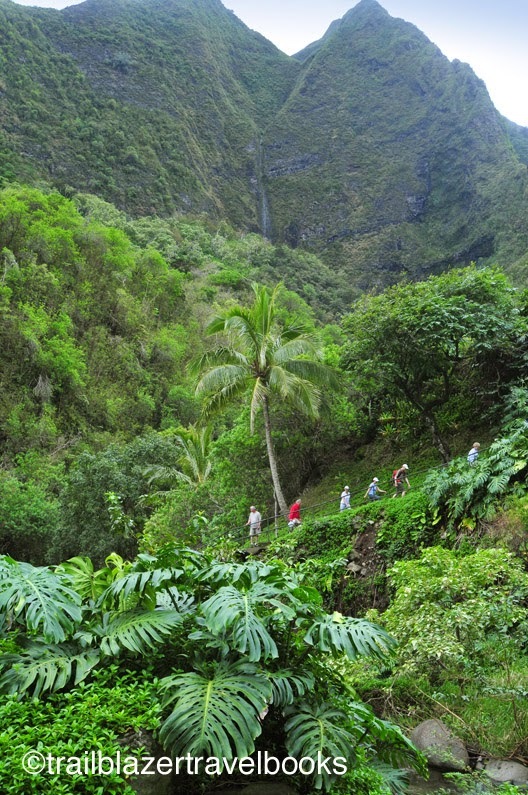 Iao Valley State Park has several short hikes, including botanical gardens, streamside trails, and the steps that rise to a kiosk to view the park's namesake, a 2,250-foot green spire known as the Iao Needle. 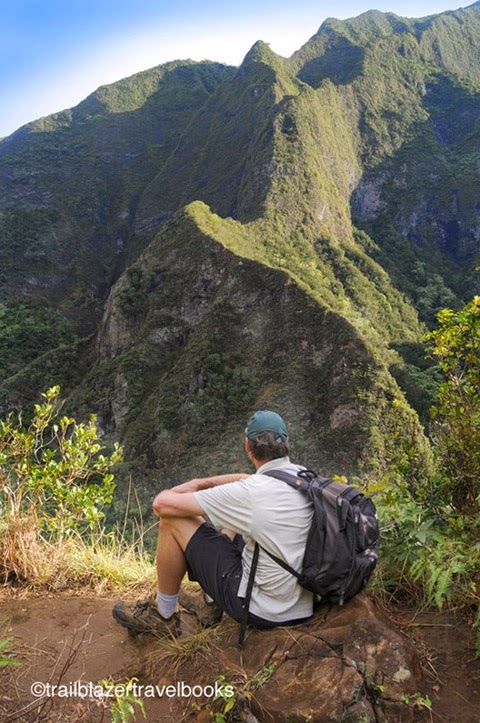 Most visitors stop here, not realizing you can step over a railing to a trail that leads up past the Needle to a narrow ridge that is one of Maui's (and Hawaii's) most scenic spots. Reaching this spectacular spot requires only a modest investment of energy: 1.5 miles round-trip with an elevation gain of 250 feet. The trail continues beyond the vista, following the route the fleeing warriors took in 1790 to escape to Olowalu Valley on the other side of the island. But this trail is badly overgrown and not recommended, even if Kamehameha himself is chasing you with a club.